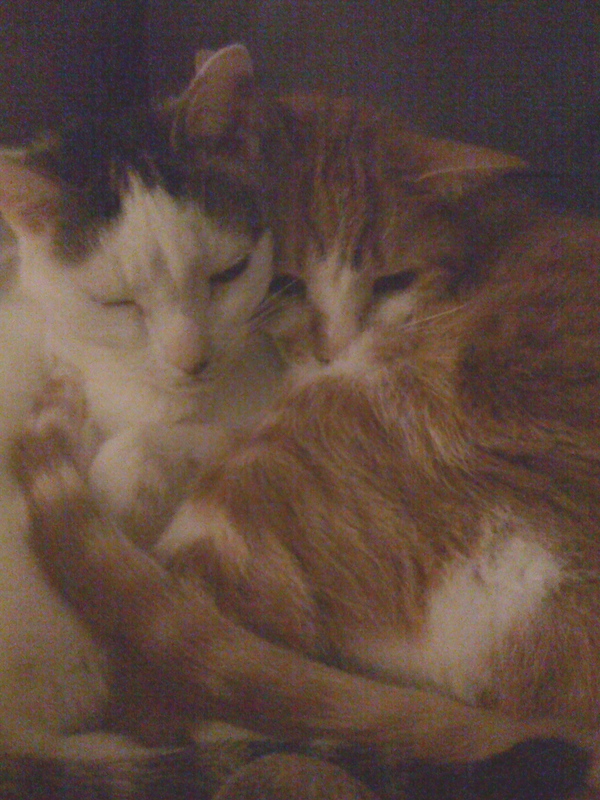 Here’s an old photo of Pearl and Pumpkin. They used to sit like this a lot and they slept together most of the day. They groomed each other nicely. However, Pearl had a few boundaries and she didn’t hesitate to smack Pumpkin around if he crossed the line. The line being my lap or my bed. No. That was Pearl’s domain. If he dared to enter either of those territories she would smack him in the head and drive him off. Lately old Pumpkin has been feeling poorly and so he often comes to me to be held. Last night he got in bed with me and crawled into the crook of my arm and I gave him a big cuddle. Oh Pumpkin. Pearl would be so peeved if she knew. Give Pumpkin his loving. He earned it. I know — he has earned it. 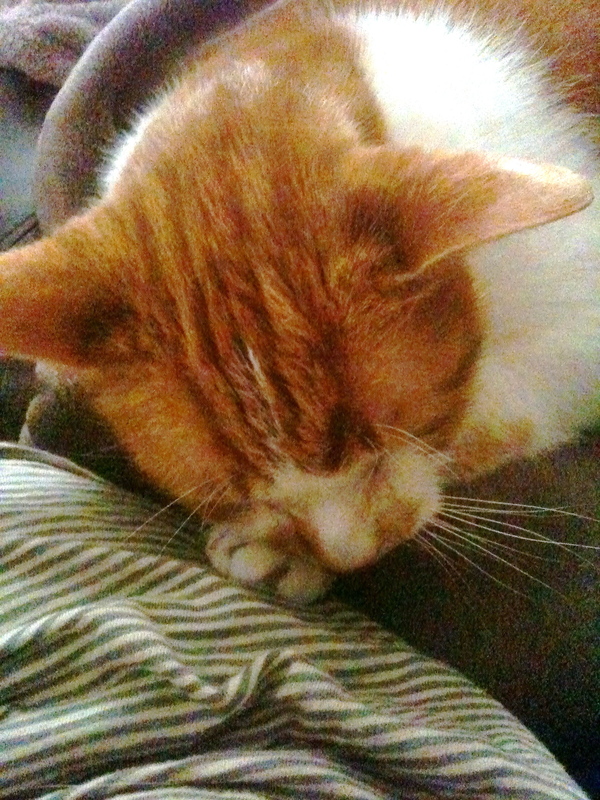 I really savor every minute with him because he’s such an old cat and it breaks my heart. Well…you know. He gets LOTS of lovin’. Our Marley is the same color as Pumpkin. When we adopted him we were told to be careful of his personal space because he is part chow. The dog has no personal space. If you are sitting on the floor and your arm isn’t busy, well, he’ll put his big head right underneath it. And he can get downright shameless for cuddles whenever anyone new comes over, bending his head back to make sure everyone knows he’s there!